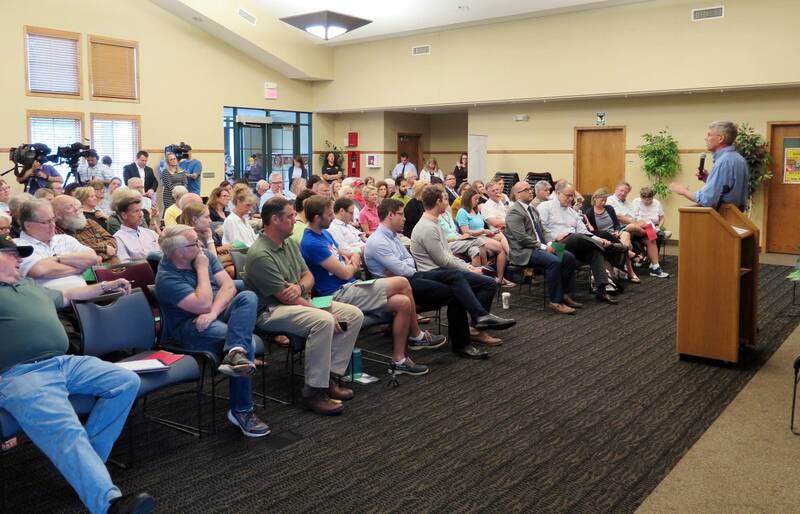 Updated: 11:45 p.m. | Posted: 4:01 p.m.
U.S. Rep. Erik Paulsen held three town hall meetings Wednesday, including forums at the Hamel Community Center in western Hennepin County and in Brooklyn Park. At both, he got an earful from residents. 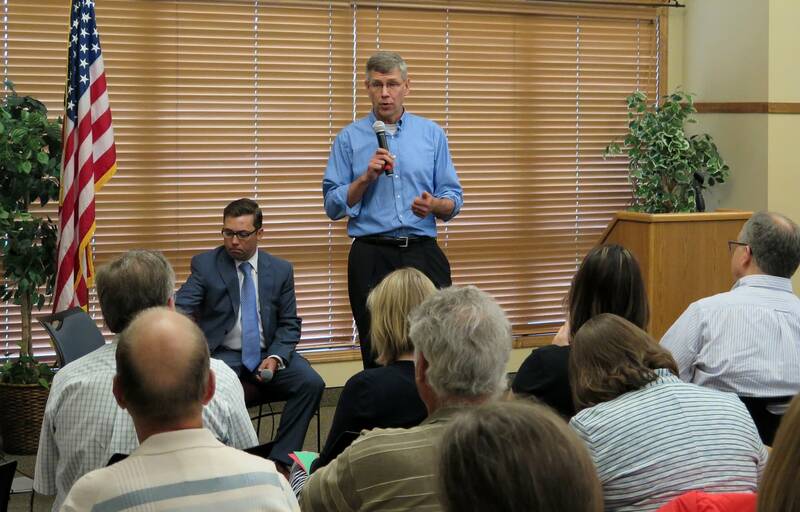 Paulsen fielded questions on campaign finance reform, tax policy and social welfare programs. In Hamel, several people pressed the 3rd District Republican on gun control in the context of preventing school shootings. "I'm curious what you're going to do to prevent these tragedies from happening," asked Carrie Lewis, 43, of Plymouth, to the applause of the roughly 75 people who were at the meeting. Paulsen explained that he favors outlawing bump stocks, which are gun modifications that allow semi-automatic weapons to fire more rapidly. Paulsen suggested the best approach would be to make it easier for officials to take weapons from people deemed unstable. "I do think these gun violence restriction orders have opportunities to not only address gun violence that may happen on a mass tragedy level, but also a lot of suicides," Paulsen said. In Brooklyn Center, where most the questions were about gun policy, Paulsen was asked if he would accept campaign contributions from the National Rifle Association. "I don't expect the NRA to send me a check, so that's the way I'm going to answer the question. I don't expect them to," Paulsen said. Paulsen is one of about two dozen Republican House members representing districts carried by Democrat Hillary Clinton in 2016. The fifth-term congressman is being challenged this year by Democrat Dean Phillips. 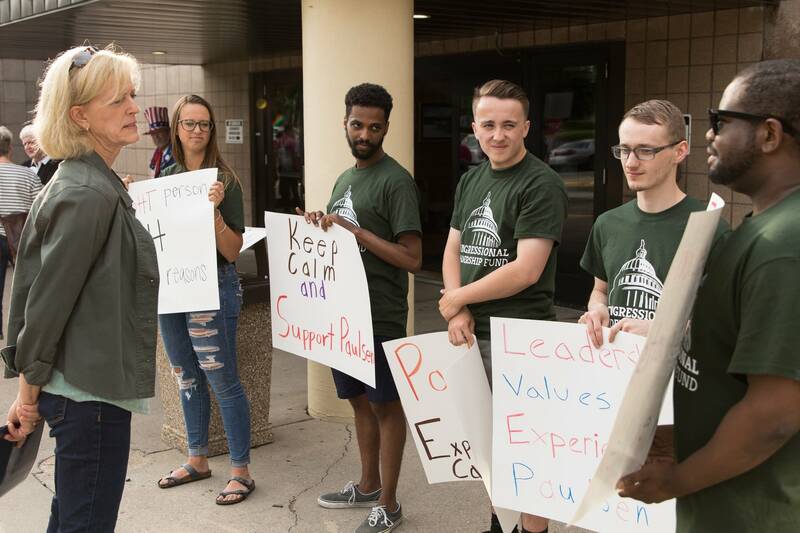 Critics have accused Paulsen of avoiding the people he represents in Congress. Paulsen on Wednesday explained to reporters why his town halls require a ticket and are not open to anyone who wants to participate. "Because as we've seen around the country, people come in that don't live in your district and they shout each other down," he said. "Thankfully in Minnesota we've still got the civil component, which we want to maintain." As around 120 people filed into the Brooklyn Park Activity Center, they dropped their names in a bucket to be chosen at random to ask questions. Supporter Linda Stageberg of Minnetonka was in favor of Paulsen's town hall-style meeting, "because people are saying he won't have one. But we're here because we want to support him. And I think there are many people that want to come to these that want to be bitter and angry and that's not what a town hall meeting should be about." As in Hamel, questions were pointed and covered similar ground. 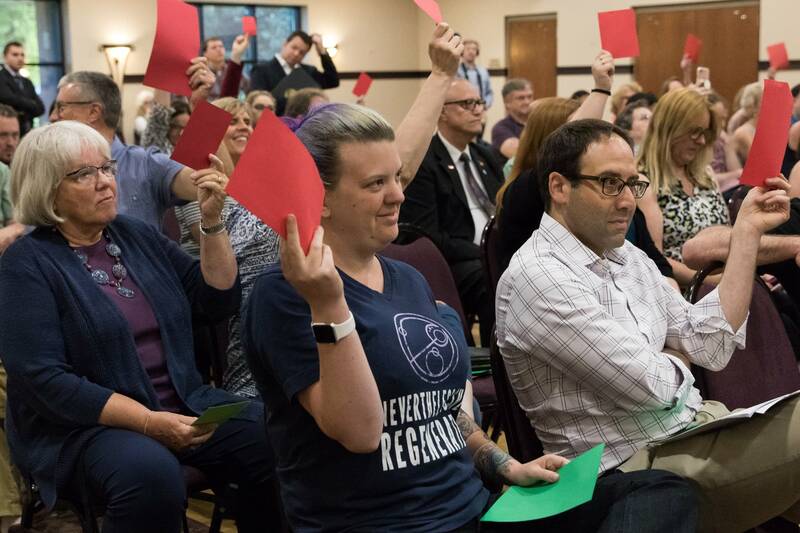 When they agreed or disagreed, participants held up either green or red cards. Paulsen was also asked what he thought of President Trump. "Do I think the President is a good role model for our children? No. I think some of the policies that are in place now are actually helping the country, there's no doubt about that," Paulsen said, adding he didn't vote for Trump. Though critical of the congressman, Rob Wilcox of Eden Prairie was glad to see Paulsen in a more freewheeling setting. "I definitely think this is a step in the right direction," Wilcox said. "Whatever his reasoning, having more access is important."